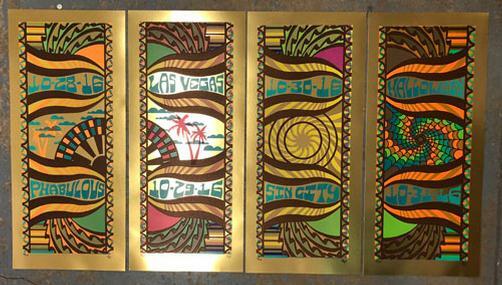 Original set of 4 (FOUR) GOLD FOIL silkscreen concert posters for Phish at the MGM Grand Garden Arena in Las Vegas, Nevada for Halloween in 2016. Each poster measures 10 x 22 inches. They are printed on GOLD FOIL paper with Acrylic Inks. The posters are signed and numbered out of 100 by the artist Tripp.